2017 Atlantic Hurricane season begins today and the NOAA's prediction of above-normal activity makes it imperative to stay prepared. 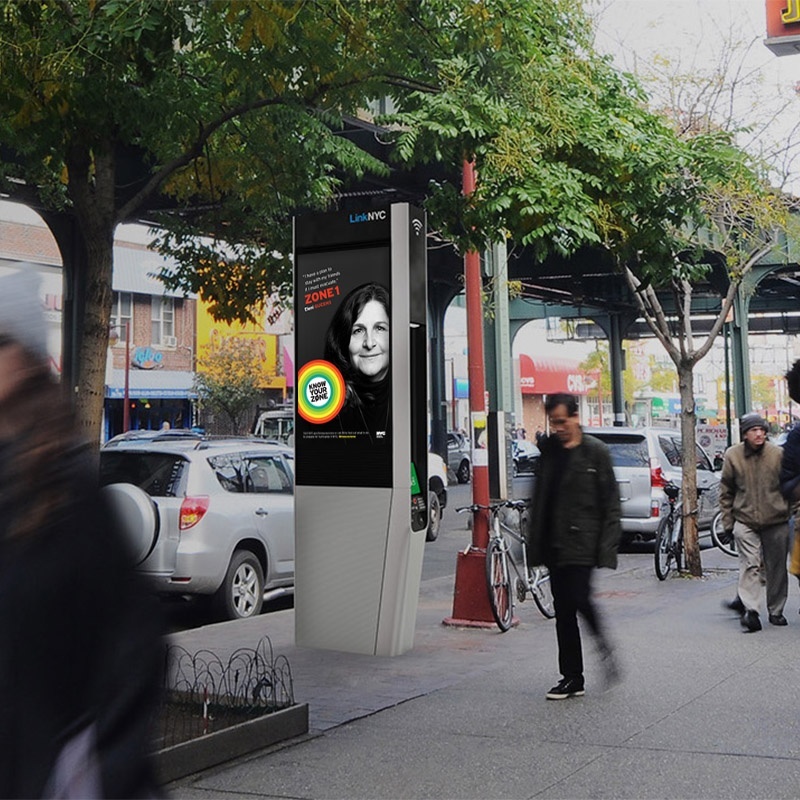 That is why C&G's long-term client NYC Emergency Management expanded the Know Your Zone campaign from bus shelters, posters, newspaper, and other print ads to include a digital element. 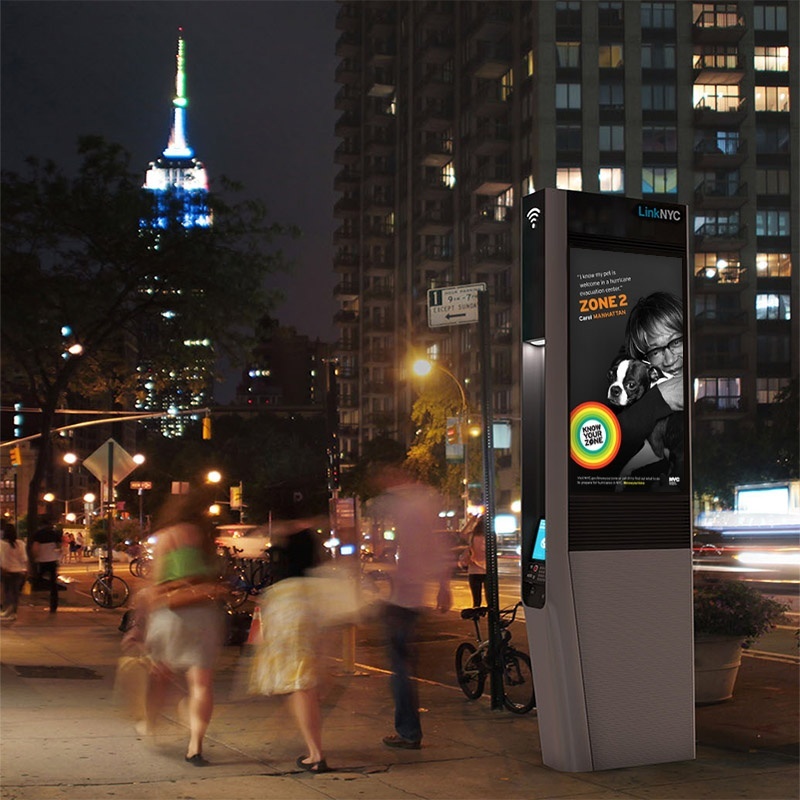 The campaign now appears on LinkNYC kiosks across the five boroughs. Designed by C&G, this year's campaign features real-life volunteers from Community Emergency Response Teams (CERT) who live in the city's hurricane evacuation zones. Along with portraits, the campaign includes preparedness tips from volunteers Alex, Bushra, Carol, Doreen, Eleni, Ife, Mark and Uthman. "I have a plan to stay with my friends if I must evacuate," says Eleni, a Queens resident who lives in Zone 1. 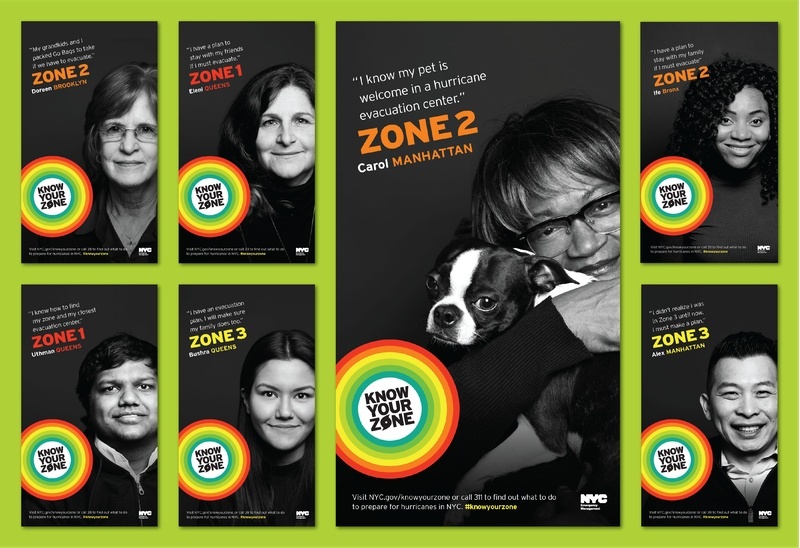 To convey the serious subject matter and stay in-line with previous Know Your Zone campaigns, the black-and-white volunteer portraits have somber tone offset by vibrant campaign graphics. 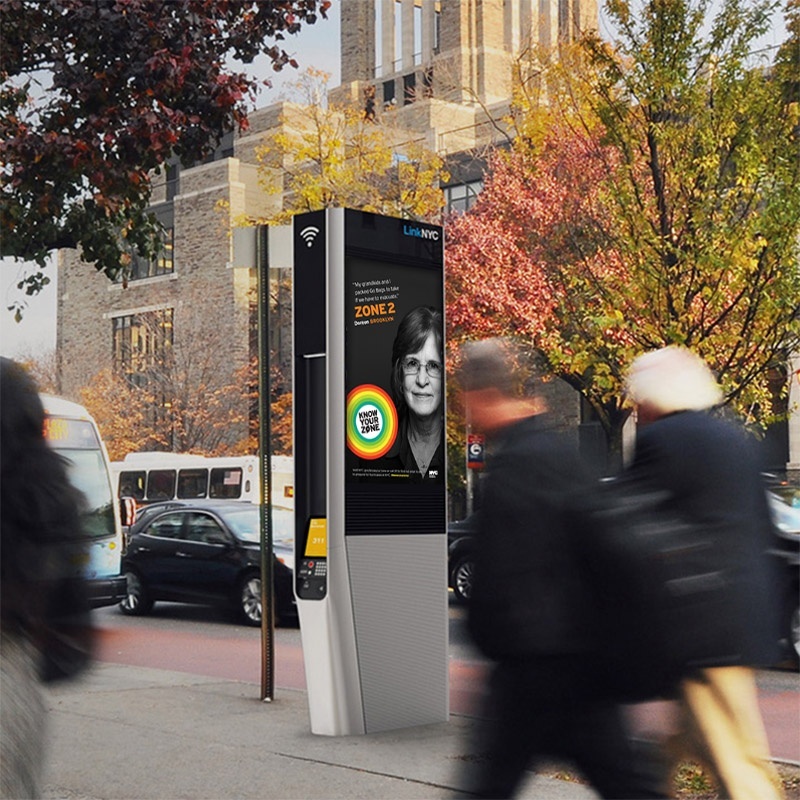 The Hasselblad-Phase One with a 120mm lens was used to photograph the CERT members, bringing portraits to life on large-scale digital signage kiosks as well as bus shelter ads. 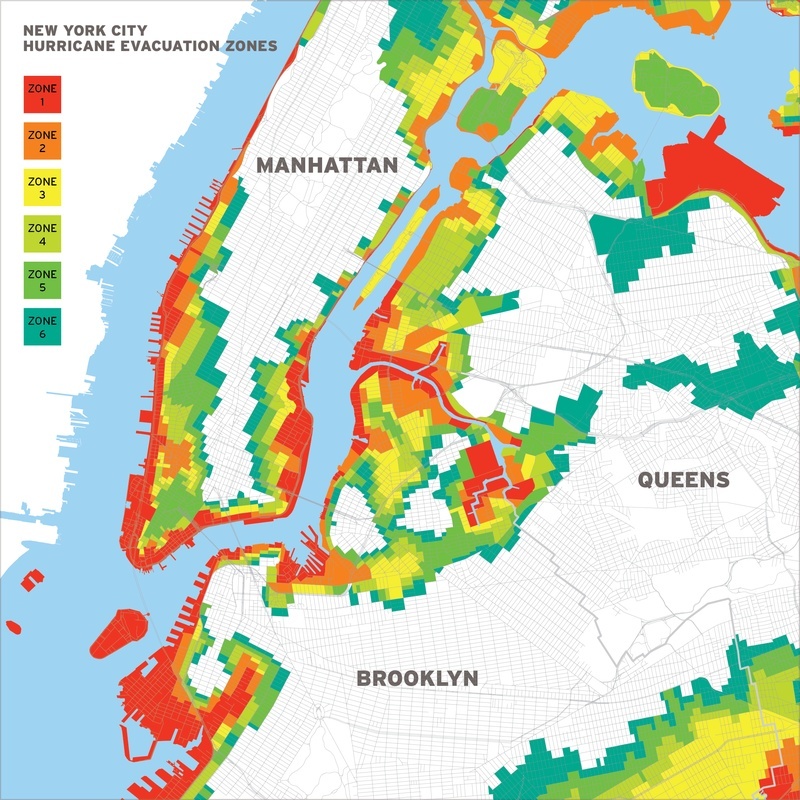 C&G had the privilege of working with NYC Emergency Management from the beginning of the Know Your Zone campaign, created after the devastation of Hurricane Irene and Sandy. In addition to the campaign branding, website and public service ads, C&G designed the map and color system that defined the city's six hurricane zones.